The Flin Flon Bombers will be holding their AGM on Wednesday May the 29th, 7 pm at the Green Room at the Flin Flon Community Hall. The agenda will include addresse's from the President and Coach as well as a financial report. There will also be a chance to ask questions from the floor and conclude with elections for board positions. For more information call the Bomber office at :204-687-4404. The Phantom Lake Soccer season is just around the corner and the league is in desperate need of coach's to start the year. Here is an interview with former Bomber Assistant Coach, Gary Childerhose who is now the new Head Coach and GM of the Kindersley Klippers. I caught up with Gary earlier today as he reflected on his time with the Bomber organization and how excited he is to be awarded his first Head Coaching job. Flin Flon Creighton Minor Ball wants to give you one more chance to register for the up coming season. Last chance registration will take place this Tuesday April the 23rd, 6-8 at the Creighton gym. This will include all age groups , Blastball 3-4, T-ball, Parent Pitch 5-6, Rookie 7-8, Mosquito 9-10, Pee Wee 11-12 and Bantam 13-14. 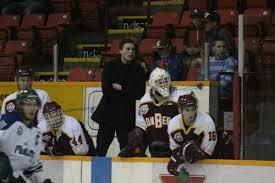 Congratulations to Bomber Assistant Gary Childerhose who is the new Head Coach and GM of the Kindersley Klippers. Childerhose will take over for the most recent SJHL Coach Of The Year in Clayton Jardine who stepped aside to pursue another opportunity. Gary brings a lot of experience to the table including three years as a player with the Melfort Mustangs where he picked up 92 points in 131 games. 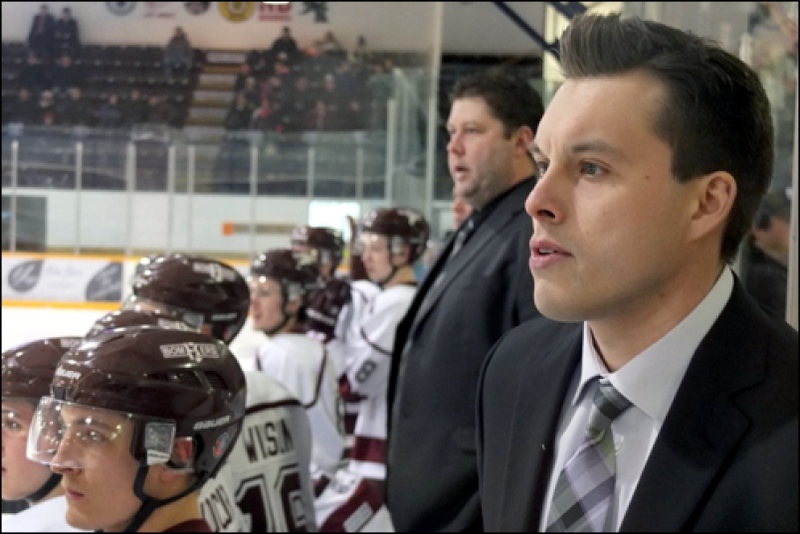 He joined the Bombers as an Assistant Coach 5 years ago and made an immediate impact on the players, fans and sponsors in Flin Flon and was a very popular figure at the Whitney Forum. Childerhose was also very good at breaking down video and was a tremendous attribute in helping the Bomber organization graduate players to the NCAA college level. This will be Gary's first official head coaching job, although he does bring some head coaching experience to the table after looking after the club on three different occasions while Mike Reagan was at the World JR. A Challenge. There will be no shortage of experience behind the Kindersley bench, as another former Bomber coach Larry Wintoniak will stay on as the Assistant Coach and Assistant GM. On behalf of the entire Flin Flon Bomber organization, I would like to thank Gary for all his hard work and positive attitude and wish him nothing but success in the rest of his hockey career. 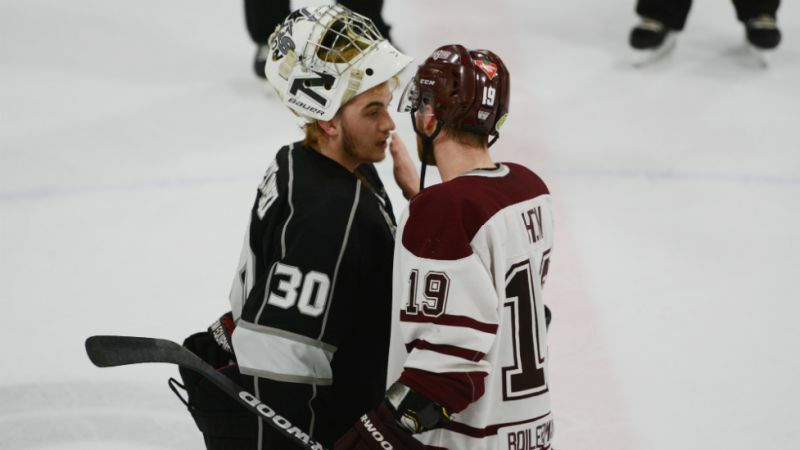 Congratulations to Flin Flon's Tanner Korchinski on winning the 2019 Allan Cup with the Lacombe Generals. They beat the Innisfail Eagles 5-2 in the final this past Saturday. Tanner suited up for the Bombers between 2008 and 2011 and had 69 points in 167 games. He also made the SJHL All Rookie Team and was a Second Team All Star in his four years as a Bomber. 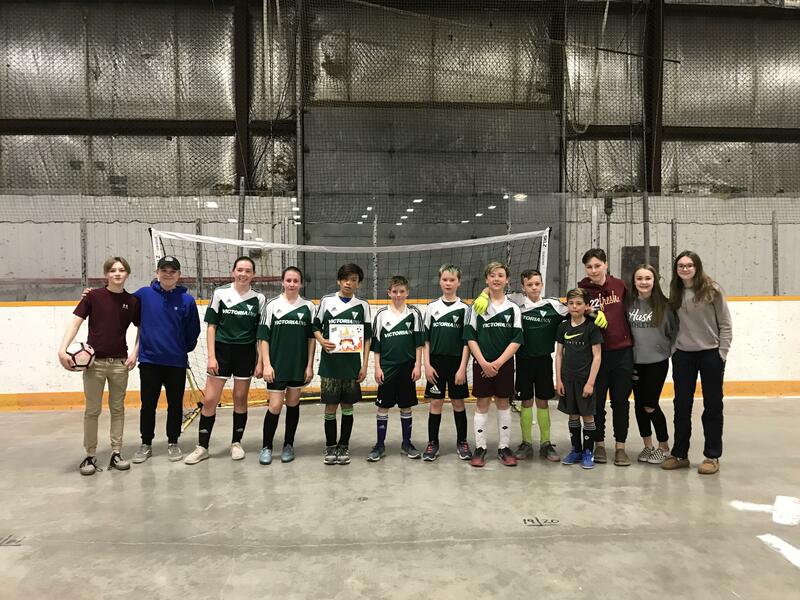 The Town Of Creighton and Phantom Lake Soccer Club hosted their indoor soccer tournament this past weekend at the Creighton Sportex. The Bombers blanked the Vic Inn 4-0 to finish first in the 2005-2007 age category. The Kinettes went undefeated knocking off the Rockets 6-0 to finish first in the 2008-2010 age category. A big thanks to the sponsors Arctic Beverages and Chicken Chef and to all the volunteer coach's. The regular season will start in May. Flin Flon Creighton Aqua Doves competed at the Sadie Caulder Knight Provincial Championships this past weekend in Saskatoon. Maryn Mckee, Talissa Alexander and Rene Thompson qualified for spots at the Canadian Prairie Championships May 2-5 held in Regina with their swims this weekend. The regular season will conclude with their local water show this Sunday April 14th at 4:15. Everyone is welcome to attend. The Flin Flon Bombers will be hosting their Spring Camp in Saskatoon the weekend of May the 10th to the 12th. This is open to players born between 2001 and 2004. Head Coach and GM Mike Reagan is expecting about 100 players to take part. 60 will be invited to Main Camp in the fall. The camp will take place at the Agri-Twins Arena and if you would like to take part you can contact the Bomber office at 204-687-4404. 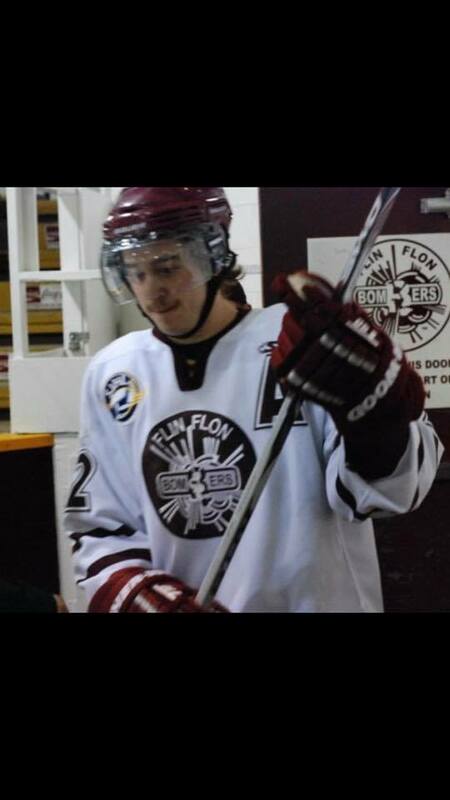 Flin Flon Creighton Minor Ball is ready for another exciting season and will be hosting two in person registrations. The first one is Sunday April 14th 1-4 at Creighton school. Use tennis quart entrance. There will also be registration on Tuesday April the 16th, 6-8 at the Sportex. Registration is open for Blastball- 3-4, T-Ball, Parent Pitch-5-6, Rookie, 7-8, Mosquito, 9-10, Pee Wee, 11-12 and Bantam, 13-14. Season will start after the May long weekend. 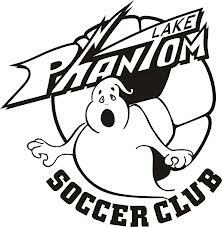 Phantom Lake Soccer Registration will be taking place this week. There will be three opportunities to sign up in person. This Thursday at 6-8, Friday 6-8 and Saturday 1-3 all at the Sportex. Two post dated cheques, plus a cheque for fees will be required for registration. You can also sign up on line at phantomlakesoccer.com. 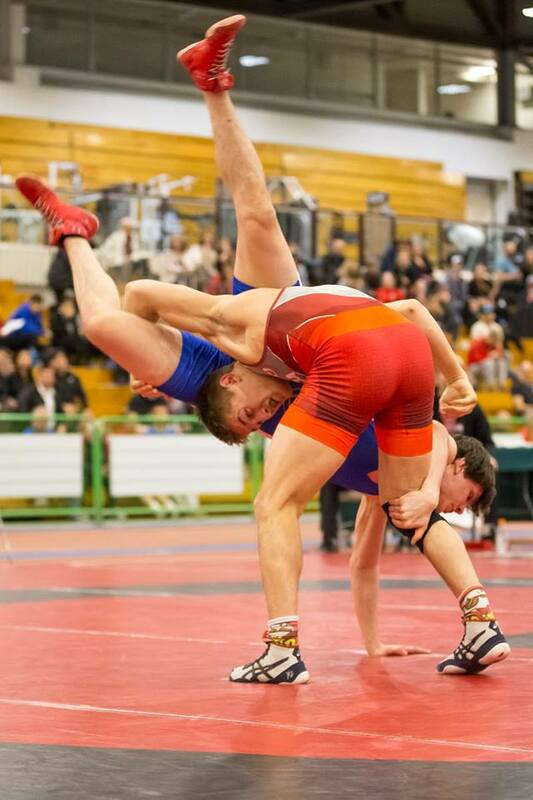 Carson Lee competed at under 19 Wrestling Nationals in Fredericton New Brunswick this past weekend and will be coming home with lots of hardware. Carson won a Gold in Greco yesterday and a Gold in Freestyle on Friday. He also won an outstanding Male U19 Freestyle Wrestler Plaque and an award for 2018 Cadet Wrestler Of The Year. A big congratulations from everyone in Flin Flon and good luck back on the world stage at his next big event in Romania in May. 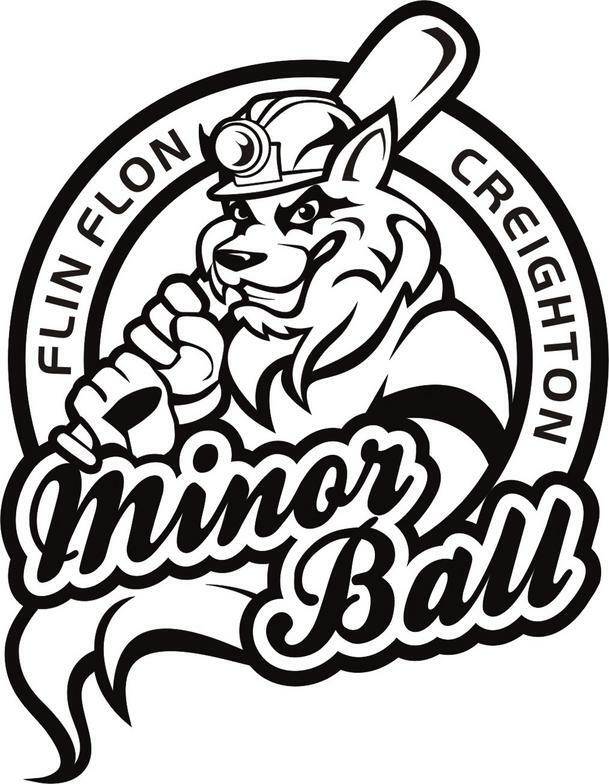 Flin Flon/ Creighton Minor Ball is getting ready for the 2019 season and they need volunteers to join their board and help organize for the year. They are looking for a Treasuer, Secretary, Fundraising Co-ordinator and Media C-ordinator. With out volunteers there will be no league, so please call or text Darcy at : 306-688-0067. Flin Flon Minor Hockey officially ended their season with their awards banquet earlier tonight at the Flin Flon Community Hall. A big thanks to the sponsors Triad Realty, Scotia Bank and Chicken Chef for their support all season. Here are tonight's award winners. 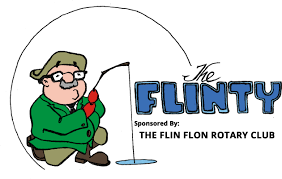 The Flin Flon Rotary Club is hosting the 5th annual Flinty Fishing Derby this Sunday starting at 11 and going til 2 at Bakers Narrows. Last year's location was excellent as 30 fish from 4 different species were caught. Lot's of great prizes will be handed out again this year as $25,000.00 will once again be awarded for first place. Second place is a 2019 Lund WD14 complete with a 15 hp Mercury 4 stroke motor and trailer valued at $8000.00 and third place is a Polaris 450 Sportsman's Quad valued at $6,000.00. Tickets are $100.00 each and can be purchased at Kleen All in Flin Flon or Ruby's Outdoor's on the Creighton Freeway or online at flintyfishderby.com. The Flinty Fish Derby is teaming up once again with the Bill Bannock Classic which will take place on Clear Water Lake this Saturday. The Flin Flon Bombers hosted their year end awards and banquet Saturday night at the Creighton Community Hall with around 200 people in attendance. A big thank you to Chicken Chef for preparing a delicious meal and to Leanna and the board for organizing and decorating the hall for the big event. Bomber Captain, Nate Hooper took home three awards including First Star for the RBC 3 Star Award and the George Leel Trophy for most points as well as the CFAR MVP. RBC 3 Stars 1. Nate Hooper, 2. Brandson Hein, 3. Calvon Boots. The Uptown Curling Club will be hosting the last big event of the curling season with the annual mixed bonspiel which will start tonight. There are 12 rinks entered and here is tonight's opening draw at 7:30. There will also be draws tonight at 9 and tomorrow(Saturday) at 10, 12, 2 and 4. The Flin Flon Bomber Awards night will take place this Saturday at the Creighton Community Hall. The night will include dinner, speeches, jersey auction, presentations and awards. Tickets are $25.00 for adults and $10.00 for kids. Cocktails start at 5 with dinner at 6. Stop by the Bomber office on Main Street to get your tickets. 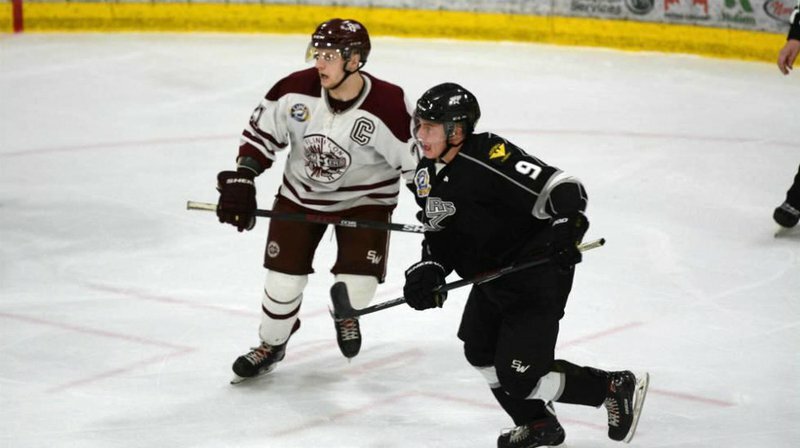 After a valliant come back the Flin Flon Bombers season has come to an end after falling 4-1 to the Battleford Stars, Tuesday night at the Civic Centre. 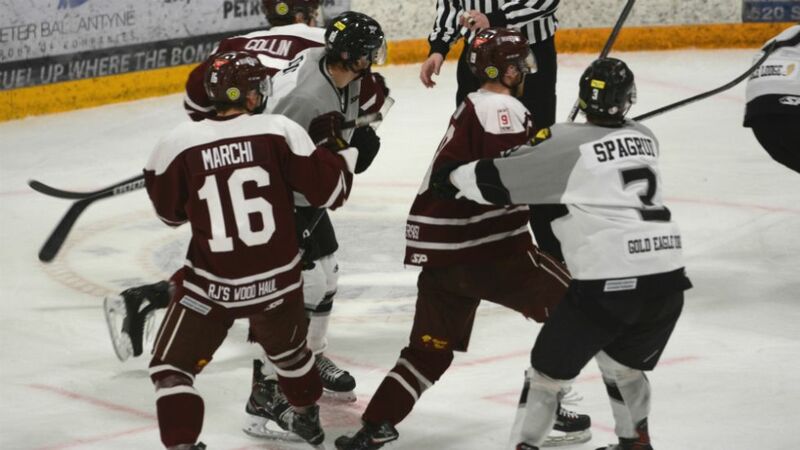 Trailing 3 games to none , Flin Flon battled hard to win the next three and gave themselves a chance to complete the incredible come back in game 7. Battleford was ready and got the jump early scoring three goals in the first period from Gammer, Summers and Buziak and never looked back. There were no goals in the second and the Stars put the game away when Quinton Loon Stewardson re-directed a Cody Spagrud shot from the blue line mid-way through the third period. Daylan Marchi did get the Bombers on the board a couple minutes later but it was too little too late. Once again the Stars did a brilliant job of keeping the majority of the Bomber shots to the outside despite being out shot 40-35. Most of Flin Flon's shots came from the perimeter and Joel Grzybowski when called upon made the big save. Gabriel Waked faced a lot tougher shots and did everything he could to keep his team in it and once again played good enough to win. In my opinion, the Bombers looked like they ran out of gas and a very flat first period cost them the game. After the Stars got up 3 goals they were able to sit back and clog up the neautral zone. I give a lot of credit to this fine group of young men , who never quit and gave themselves a chance getting it to game 7, coming up just a bit short. This was a classic series with 4 of the 7 games going to OT including game 5 which needed three over times. I will personally never forget that game, as it was the longest game I called in Bomber history in over 22 years. I was never so happy to see a game end as I didn't know if I would be able to get through another over time. It was tough to see the season end on Tuesday and I immediately felt bad for the graduating players who put the Bomber sweater on for the final time. These young men have done an outstanding job representing our team, community, league and the game of hockey and will all be missed. Good luck to the 8 graduating 20 year old's, Tyler Higgins, Caleb Moretz, Daylan Marchi, Brandson Hein, Nate Hooper, Isaac Jackson, Calvon Boots and Ethan Daniels. There will also be two Bombers moving on for scholorships including Cade Kowalski and Vaughan Bamford. Any one of these players will tell you that playing junior hockey in Flin Flon has been one of the best times of their life and they are leaving Flin Flon as a better person. Also, I would like to thank the coaching staff Mike Reagan, Gary Childerhose, Chris Bortis, Cole McCaig and the trainor Json Savill for their hard work and countless hours of making the Bombers one of the strongest franchises in the league. It was a fun entertaining season which will wrap up with the awards banquet expected to take place this weekend. In front of over 1200 raucous fans at the Whitney Forum on Sunday night, the Flin Flon Bombers continued their winning ways with a 6-3 victory over the Battleford Northstars. Trailing by a goal in the 3rd Period, the Bombers scored three times in the final frame to force a deciding game seven. Caleb Moretz got the tying goal at 6:14, Cade Kowalski notched the winner at 13:20 and Daylan Marchi picked up the empty netter late. Alec Cokley, Caleb Franklin, and Jack Michell also scored for the Bombers. Game 7 is set for Tuesday night with the Great North GM Coaches show at 8:10 and puck drop for Creighton Furniture Bomber Playoff Hockey at 8:30. The annual Hudbay hockey tournament took place this past weekend and all the playoff games took place earlier today. Electricians 2 (OT)- B Barron scored the OT winner. It seems like we just got off the ice, and we are only a few hours from game 6 of this already classic SJHL Quater Final between the Flin Flon Bombers and Battleford Stars. Nate Hooper not only scored the tieing goal with just 28 seconds left in regulation Friday, but followed that up with the game winner at just over the 8 minute marker in the third over time period. The Bombers stunned the North Stars 4-3 in triple OT and are right back in the series trailing 3 games to 2. I have never been so tired calling a hockey game in my life but it was worth it as the Bombers will now get a chance to even the series at the Whitney Forum tonight. The goalies are stealing the show and Gabriel Waked is starting to make a name for him self after stopping 55 out of 58 Battleford shots on Friday night. Waked has been over shadowed by Joel Grzybowski for much of the series but he was the difference in game 5 for sure. Waked has a 2.01 gaa and a save % of .936 in the series so far. Grzybowski has a gaa of 1.50 and .957 save % and has stolen some games for his team in this series as well. I can't recall a goaltending battle like this in the 22 years I have been covering this league. You almost get a sense that the momentum is starting to change and Flin Flon's mind set is totally different after back to back victories. The players feel that they are very capable of coming back and winning this series and the top offensive threats are strarting to make their presence felt. Brandson Hein has 5 points in the last 2 games and Nate Hooper has climbed into second overall with 10 points in 7 games including two huge goals on Friday. We have also seen Moretz, Jackson, Collin and Nardone start to chip in offensively. It is just a matter of time before this deep lineup starts to find the back of the net. One of the question marks heading into game 6 tonight will be the availability of Calvon Boots. Boots left game 5 after a hit to the head in the second period and even though he remained on the bench did not play the third or the three over time periods. Mike Reagan wasn't sure if he would play tonight and will be a game time decision. Win or lose tonight, this has been a series for the ages with 4 out of the first 5 games needing over time including the marathon on Friday night. There is a big buzz in town and the Bomber faithful will be in full force cheering on the Maroon and White who will be looking to draw even tonight. I am expecting over 1,200 and with their being no school tomorrow maybe we can hit 1,500. One thing for sure it will be loud. Don't forget to bring those mobile devices and tell who ever can't be there to catch all the action on 102.9 CFAR and flinflononline.com starting with the Great North GM Coach's Show at 7:10. 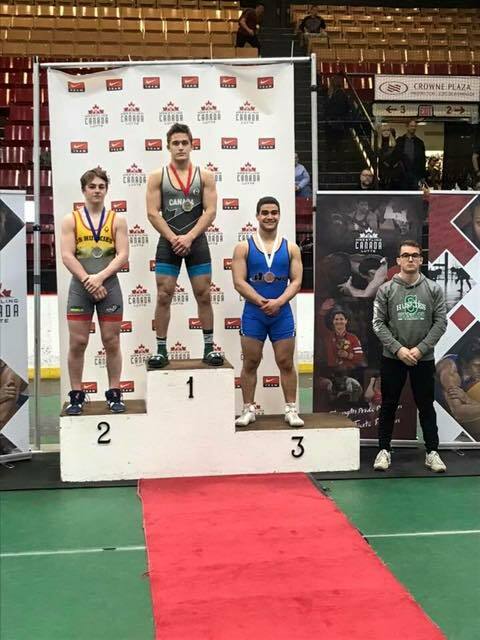 Congratulations to Flin Flon's Hunter and Carson Lee who both won Gold medals at the 2019 Canadian Wrestling Championships in Saskatoon. They both dominated their fields with Carson winning the 79 kg Gold medal match with a pin. Hunter won Gold by winning all three of his round robin matches by technical fall. Carson and Hunter both began their careers by wrestling each other in their back yard and now train and compete for the Saskatoon Wrestling Club. After their Gold medal victories this weekend, Hunter and Carson will now get to compete for the National team on the world stage.